How Planned Parenthood helps transgender patients get hormone therapy. 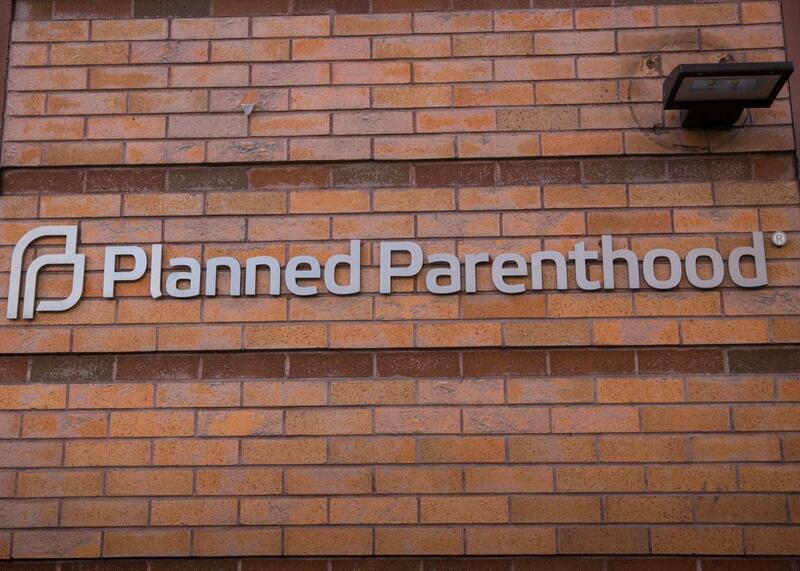 A Planned Parenthood office in New York City. Update, Feb. 3, 2016: A disclosure was added to this post. For transgender Americans, finding safe, affordable, and nonjudgmental medical treatment can be a struggle. Hormone therapy, which typically consists of testosterone (for patients seeking to become more masculine) or estrogen plus androgen blockers (for patients seeking a feminizing effect), is among the most commonly used treatments in medical transition. Across much of the country, it can be difficult to find doctors who are willing to prescribe the drugs required for hormone replacement therapy, and medical practitioners who choose not to prescribe hormones to these patients may be ignorant or insensitive to patients who come in to request them. Fortunately, a large national organization with a name most people are already familiar with has stepped up to bridge the gap in access to treatment for transgender patients. Planned Parenthood affiliates are increasingly offering HRT as one of the many vital health care services they offer to underserved communities. Last year, a new health center offering transgender services opened in North Carolina—and this weekend, a colleague of mine at a conference met a transgender woman from Tennessee who shared the huge difference it’s making in the lives of transgender people in the region. She said it was the only place within a 3-hour drive that would provide HRT, and she was so grateful to have that access. Those are the kinds of patients we have to reach. Currently, access to HRT is patchy and unequally distributed throughout the United States. For example, in the Boston area, where I lived until roughly two years ago, HRT was readily available in queer-friendly clinics. However, in Knoxville, Tennessee, where I live now, the picture is quite different. Transgender folks can struggle to find doctors willing to take them on as patients, and one area physician who used to offer HRT recently stopped doing so so because the demand was overwhelming his practice. Loupe was lucky enough to have had a supportive therapist in his teens, and later to find a doctor willing to prescribe testosterone, before the local Knoxville Planned Parenthood affiliate began offering the service in late 2015. According to others in the trans community, the barriers he faced were typical of those faced by patients looking for HRT in the area. These patients have greeted the news of the local Planned Parenthood’s decision to offer HRT with joy and relief. I went into Planned Parenthood and said I was interested in getting hormones from them and then they went through all the side effects, and then I had to have a blood test to see if I was healthy. The first four times I went in [to the clinic] for a shot, and then they trained me to do my own injections. When I go in as a patient it is awesome. They respect my pronouns and have gender inclusive bathrooms, which not everywhere has yet in my local area. They’re really supportive of talking about my dosage, answering my questions, and making sure I’m healthy. Transgender people, like everyone else, have a fundamental need for quality, affordable health care, and deserve to be treated with dignity and respect. The unfortunate reality is that transgender people face unique challenges and barriers when it comes to getting the health care they need. Despite the recent visibility of transgender people like Caitlyn Jenner and Laverne Cox in the media, not all health care providers have knowledge or understanding of transgender and gender nonconforming people. And while understanding what it is like to be a transgender person can be hard or confusing for people, we know that transgender and gender nonconforming people often encounter harassment and hostility in health care settings. From filling out forms, to the language used in the waiting room, to insurance coverage, to staff understanding of transgender and gender nonconforming identities—can all add up to a really unwelcoming experience for patients, and one that keeps a lot of transgender people from seeking care. Everyone should be able to get the health care they need, when they need it—and for many transgender people, being able to get health care in a welcoming environment is literally a matter of life and death. In Planned Parenthood, the LGBTQ community has a strong ally that isn’t afraid to offer help where help is needed. It’s particularly impressive given how much flack the organization already takes. This is old-school activism that’s willing to take risks in order to do what’s right, and I applaud them for it. Disclosure: The author is a patient at Planned Parenthood.